Talking to strangers is something that is completely outside of my comfort zone. So when I agreed to help my mom deliver hearts on Valentine’s Day – I was planning on leaving them anonymously, none of this talking to people business. By 2:30pm I had yet to leave a single heart, so I headed over to Starbucks to handle my covert Valentine’s mission. 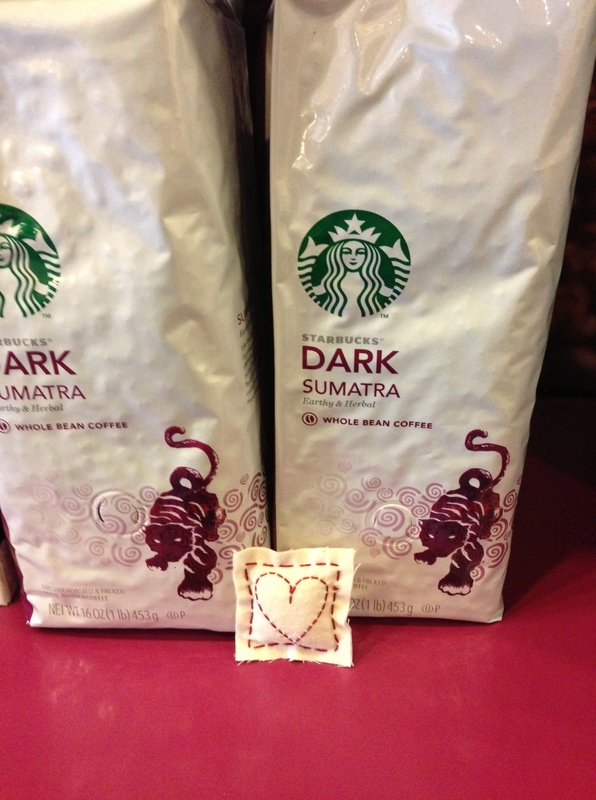 I left a heart a shelf next to some pound coffee bags and proceeded to get in line. While waiting to place my order, I started thinking about giving one of them to the barista. Bravery mounting, I grabbed another heart and handed her the pillow after I paid. She was so appreciative and had a huge smile on her face. I felt a rush of joy, it was so fun to do something nice for a complete stranger. 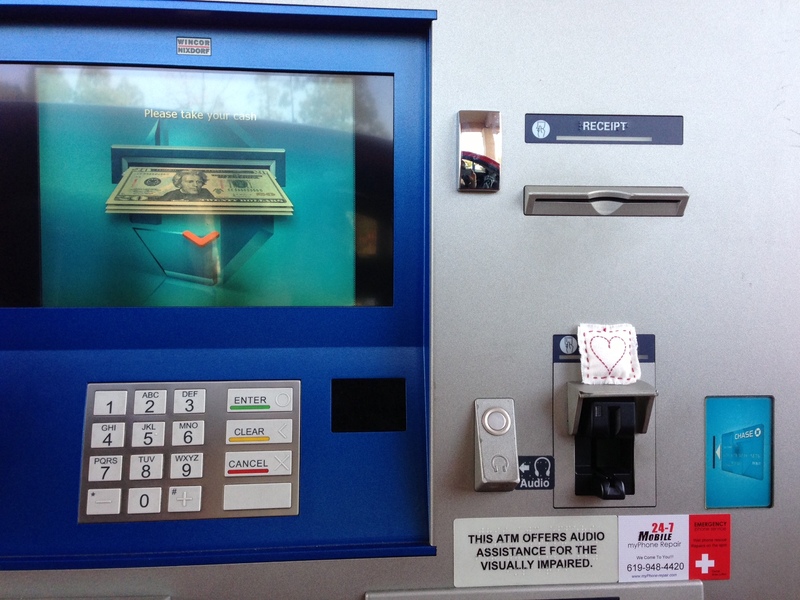 After Starbucks, I headed to the drive-thru ATM to leave another heart. I decided I might as well get $20 while I was there. As I was driving out of the parking lot, I saw a struggling family sitting beneath a tree. The dad was holding a sign that said, “Lost job, no money for rent”. The mom was sitting on the grass with her two small children. I heard God whisper to me, “Give them a heart, and the $20.” I pulled over, rolled down the window and happily handed them over to the family. He looked me straight in the eye with a big smile and said, “God bless you.” Again, I had a complete feeling of selfless joy. I loved being a part of sending 100 hearts into the world! Everyone deserves to feel love on Valentine’s Day, no matter their relationship status. To see comments from recipients, check out our Pillow Talk page.